Product prices and availability are accurate as of 2019-04-20 17:33:08 UTC and are subject to change. Any price and availability information displayed on http://www.amazon.com/ at the time of purchase will apply to the purchase of this product. Because of a slight error on our part, we forgot to tell many of our customers that when they receive their mirror, it'll be covered with a protective transparent film. Unfortunately, some of these customers left a 1-star review thinking that they received a damaged/scratched mirror! About the MeanHoo Bike Mirror. 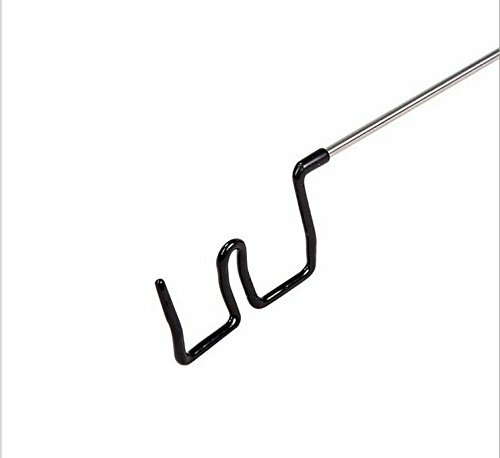 Feature : Cycle rear view mirror has 3 pivot points for total adjustment. 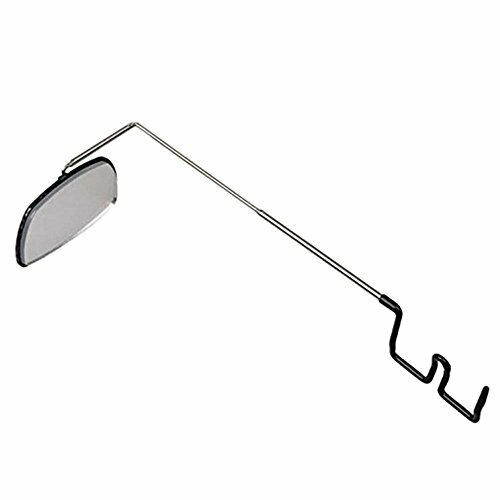 Fully adjustable lightweight rear view mirror, cycling rearview mirror can be fitted to any eye glasses. This clear rear view mirror for glasses allows you to remain aware of anything coming up behind you while you focus on the road ahead . 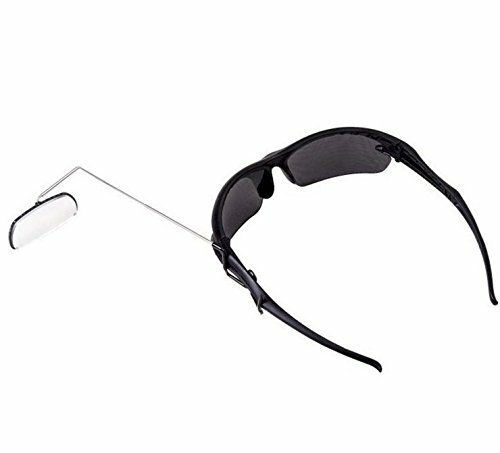 Bike mirror glasses adjusts to fit on right or left side. cycling mirror for glasses provides wide, uninterrupted field of vision. Adjusts to fit on right or left side. 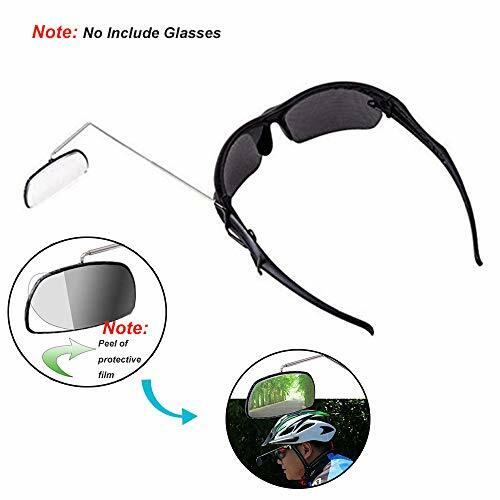 Frameless mirror provides wide, Designed for easy mounting, removal, and adjustment, The bicycle eye glasses rear view mirrors will not vibrate as you ride and will not damage your glasses. 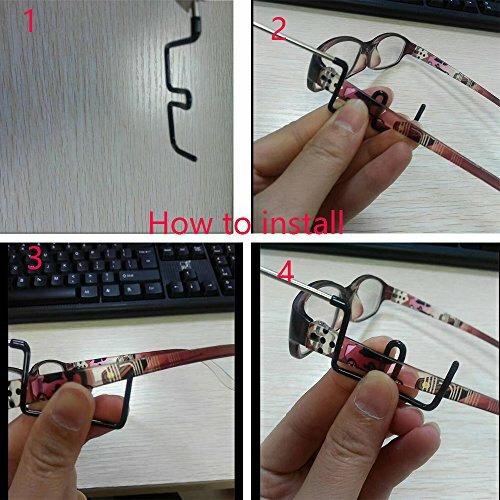 Package Included: 1 x view mirror glasses. Customer Service: Customer Satisfaction guarantee, 3 Months Refund and Resent with no Excuse. Any Outdoor Gear please attention to our Store. Normally the shipping it takes 7-15 business days by USPS. We promise order now with provide a Lifetime Guarantee. See the product Description below have any feature detail. Adjustable to any angles ,High-definition and wide viewing angles. Made of high quality and durable material ,Compact design and easy to install & Popular Functional and Fashion style Adjusts for both left-and right-side use,stable structure. Rearview mirror provides a wide, uninterrupted field of vision. Vibration-free cycling mirror mounts Fast install and dismantle by a adjustable belt. Light weight, large lens, scratch resistant and you can Adjustable to any angle if you need it, that make you safer when riding on the road. MeanHoo is professional provide for OUTDOOR GEAR. If you are interested in our products, please stay tuned to our. More promotion activity or gift on Meanhoo.100% TOTAL & COMPLETE SATISFACTION GUARANTEE AND GREAT SERVICE FOR YOU!